You sell a ‘thing’. But that’s not what your customers buy – they buy the whole life-cycle. A life-cycle measured by the energy use of the raw material extraction, the production, the use, and the disposal added together. And when judged on those terms, is your product as sustainable as you claim? Or, perhaps, more sustainable than you claim? This phase includes the energy cost of putting the ‘stuff’ back in a hole in the ground (landﬁll), or of turning the ‘stuff’ back into raw materials (recycling); and of cleaning up all the pollution associated with the ‘stuff’. Car use alone excretes nearly 150 million tons of CO2 (Imperial, not Metric) versus the total energy cost of pressing, bolting, and welding the parts together, the shipping around the world, and the management of same of only 4 million tons of CO2 (Imperial, not Metric). Clearly manufacturing cars that excrete less CO2 during use is the most effective way of reducing their total output – food for thought for any car manufacturer thinking of communicating how ‘green’ their offices are while not evidencing any attempt to reduce use-targets for their vehicles. 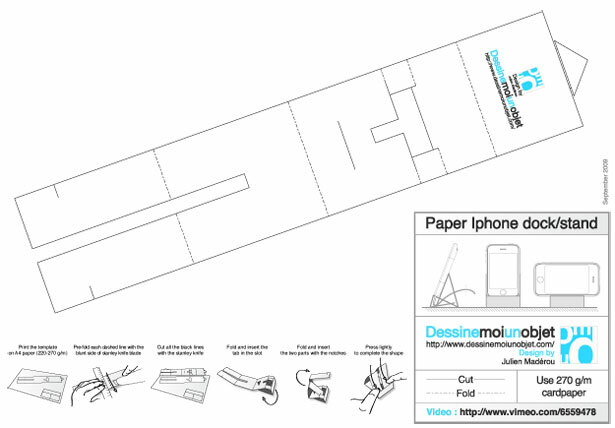 Here’s an interesting conundrum: Is this iPhone/iTouch paper stand that you download, print, and cutout any more, or any less life-cycle efficient than a manufactured shop-bought plastic version? You certainly have to weight up the cost of raw material extraction, manufacturing, and delivery of the paper in your printer with the cost of raw material extraction, manufacturing, and delivery of a plastic version (with a few stops included, like importing, warehousing, and shop-holding). I like your concept…but you're proposing a solution that we "want" companies to consider: the WHOLE life cycle. However, buyers usually think of a PARTIAL life cycle. Which is better than thinking of the immediate use, only. Sales people can truly help us create more sustainable use of our natural resources by providing customers with complete life cycle facts and figures. The more we teach them the real costs, the more they will understand the value of green and sustainable solutions. Interesting post, but i disagree with the idea that consumers knowingly (or unknowingly) buy the "life-cycle". The current problem is that no-one is paying for the life-cycle of products. "Other" costs of production (CO2 emissions, pollution etc) are very rarely factored into the price and are usually externalised. Companies don't have to pay for emissions or other undesirable externalities in the production or life-cycle of their products so this cost doesn't get passed onto customers, and consumers are largely oblivious to the "real costs" of production and usage. I'd love for companies to clearly communicate the "real cost" of their products so as customers we can make informed purchases on the real costs of products, but i fear this won't happen on a mass scale until they are compelled to by legislation. For instance, car companies often communicate fuel efficiency and low CO2 emissions on smaller cars because it means less tax for drivers, or in the case of London, no/reduced Congestion charge. I think I stated my thoughts rather poorly – you bring up a good point about the fact that no-one is paying for the true life-cycle yet (just look at http://www.thetoasterproject.org/ for a great – and popular – example). I meant that consumers adopt responsibility for the life-cycle when they take a product – knowingly or unknowingly. Argghhhh, rewrite! You've spent time thinking about this? You seem both informed and interested. I hope you find other posts interesting too. Always liked Glue's work, btw. I've just discovered the blog but lots of good stuff on here! Thanks for the toaster project link i hadn't come across it before. Really interesting and very prescient. Completely agree that consumers are adopting responsibility for the life-cycle, mostly unknowingly i think. I'm fascinated by this whole area – especially by the role that brands/marketing/businesses will play in the shift to a more sustainable society. Personally i'm not sure it can be done without some sort of kick up the arse in the form of govt. policy. There'll always be companies like innocent and method who go the extra mile but i'm unsure mass adoption of purchasing patterns/behaviour that reinforce the idea of a sustainable society will happen until consumers demand it, govt legislates for it, and businesses supply it. not sure what will/should come first though!